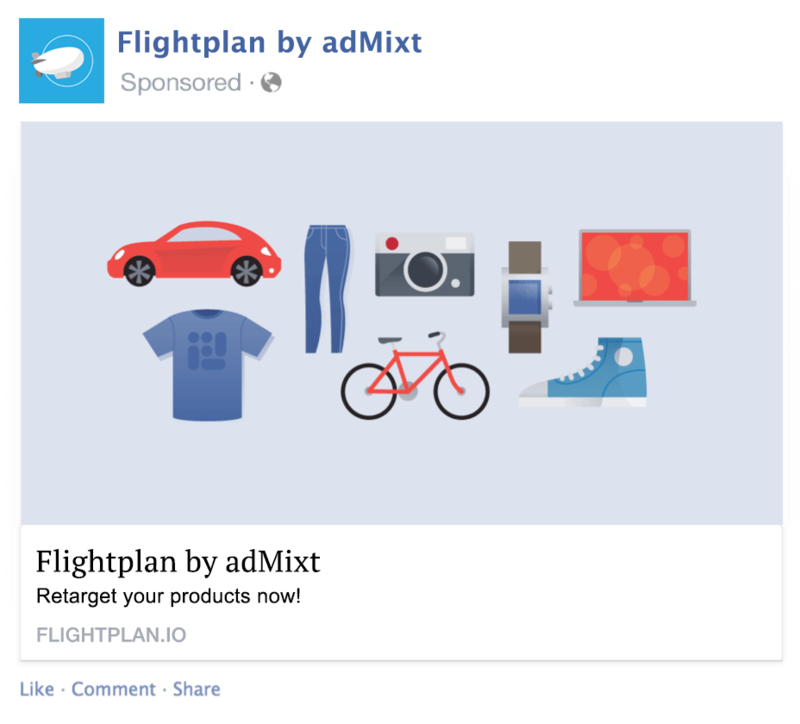 Flightplan for Shopify: Automate your product retargeting ads on Facebook and Instagram! Flightplan is the FREE way to automate your Dynamic Product Ads on Facebook and Instagram for your Shopify store. Retarget the people who are important to your business. Boost your sales today using Flightplan! The service is completely free. Just pay Facebook directly for your ads. Let us connect your Facebook account to your Shopify store and generate the most profitable ads you’ll ever run! Recover abandoned carts and lost sales by serving personalized ads to recent visitors. Bring your customers back today! Running Dynamic Product Ads can be a challenge for even the most seasoned marketer. Let Flightplan manage your Dynamic Product Ads, and increase your conversions now! Flightplan automates Dynamic Product Ad configurations, putting the full power of Facebook to work, bringing your shoppers back to purchase! Enjoy the automation of product retargeting on Facebook and Instagram using Flightplan's advanced technology completely free! You will only pay your advertising budget directly through Facebook. Flightplan is a free service provided by Facebook Marketing Partner (and 2015 Innovator of the Year) AdMixt! When you're ready to take your e-commerce marketing to the next level, AdMixt can help! © 2016 adMixt. All Rights Reserved. 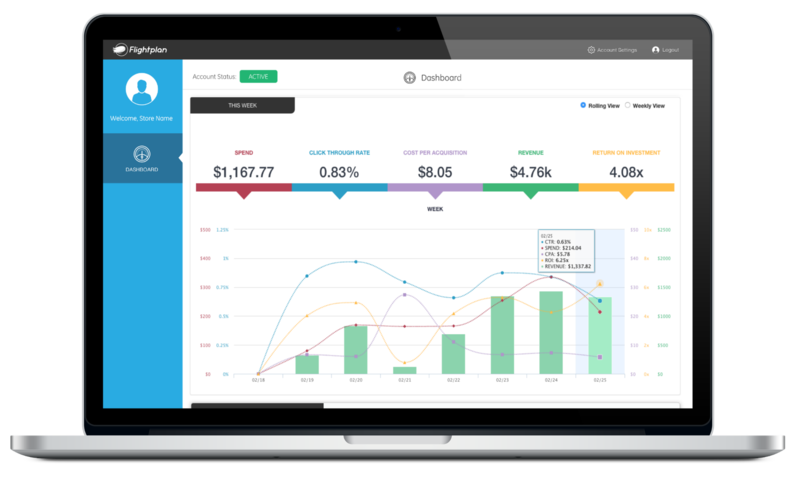 Flightplan is the best way to manage your Facebook Dynamic Product Ads. We offer the most robust automation of any solution. You don't have to mess with data feeds, pixels, audiences, or ads. We automate everything, and insure your performance is great. 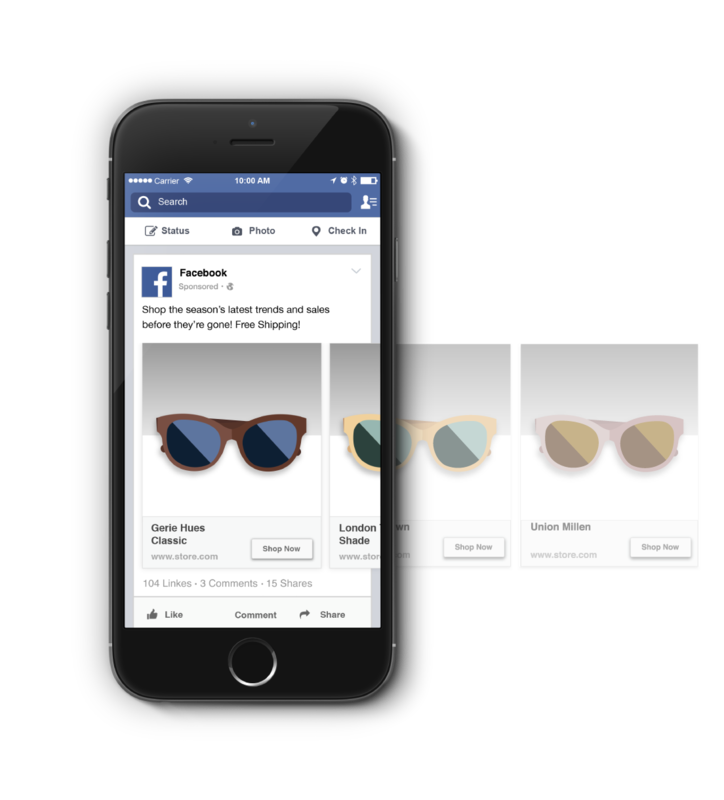 Ads & Ad Sets - Per Facebook best practices, all ads will be served across Desktop, Mobile, Right Column and Instagram from a single ad set. Daily Budget - Ad sets are in Daily Budgets. The minimum daily budget is $10 per day. Retargeting Audiences - Flightplan retargets product viewers and cart adders in the same audience. This offers the best opportunity for small sites to scale. We still create separate retargeting audiences for cart adders and you are free to launch your own ads targeting them specifically. Your own ads can utilize the same pixel, feed, and audiences created by Flightplan, but they will not appear in our dashboard. You will manage them entirely within Facebook's tools. Flightplan was created by our flagship company, adMixt, a Facebook Marketing Partner. The technology allows businesses to retarget site visitors with personalized product ads across Facebook and Instagram. Advertisers looking for a fully managed marketing service, can contact us to learn more. Have you noticed after viewing a product online, or adding it to your shopping cart, you see ads for it everywhere? Those are dynamic product ads. They perform better than traditional ads because the target audience is known to be interested in the featured products. For more information, watch Facebook's video. What do Dynamic Product Ads look like? 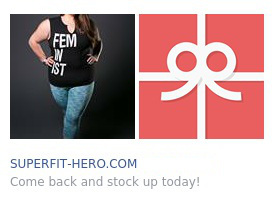 Why do I not see my products in the ad previews in Facebook? Sometimes you will see the following preview image in Facebook. This is a placeholder image that Facebook uses at times for previews displayed within Facebook. This does not mean your ads are misconfigured. How much does Flightplan cost? The use of the Flightplan platform is free. You pay Facebook directly for your ads. Do I need to use other apps? Flightplan replaces any other apps that are loading your Facebook pixels, or generating Facebook product feeds. If you use an app for generating a non-Facebook feed, you will still need to use it. Tell me more about the Facebook Pixel? Facebook has had a few pixels over the years: Conversion Pixels, Website Custom Audience Pixels, etc. Now there is just one Facebook Pixel that handles all use cases. Some uses require only a simple setup (placing the pixel on every page in your site), while others require more advanced setup (notifying Facebook when various events happen). Dynamic Product Ads require the most advanced pixel setup. Product and variant identifiers are sent to Facebook through the pixel after various events occur. Flightplan automates all of this. After signing up for Flightplan, you can remove any Facebook pixels you've previously installed. But that's not required. Does Flightplan use my Facebook ad account? Yes! Flightplan operates entirely in your ad account. You have full visibility into all the ads that are running. The Facebook pixel is tied directly to your ad account. That means if you ever need to cancel Flightplan (but why would you?) you retain all of your data. What happens if I cancel Flightplan? First, we start weeping. But we will recover soon and wish you well. Next, we remove the pixel we placed on your store. This is required by your store terms. We also stop updating your feed file and your product catalog will get out of sync. Finally, we halt all of your ads. You're free to reactivate them, but with the pixel gone, and the catalog out of date, we do not recommend that. Your performance will suffer and you will likely lose money. If you do need to cancel, make sure you can re-install the pixel yourself, or you will miss out on valuable retargeting audiences and conversion tracking. You can contact us at support@flightplan.io to request cancellation, and we'll take care of the rest. 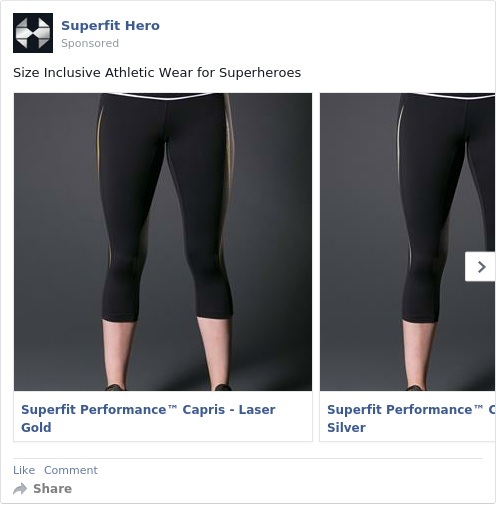 What makes a company ready to Retarget products on Facebook and Instagram? You are already running Facebook paid advertising campaigns. Your store receives more than 500 unique visitors per month. You offer more than 10 products in your store. What products and images will be featured in my ads? 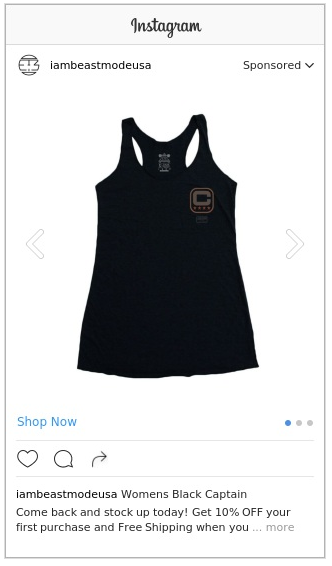 Users will be shown products that they placed in the shopping cart. Users will be show products that they previously viewed. Users will be show products they are likely to purchase that are similar to products that they have shown interest in with your store. When will my ads start serving? Depending on a few factors, your ads might start serving within an hour, or it could take a few days. If you have a lot of products in your catalog it can take up to an hour to sync them with Facebook. If your site gets a small amount of daily traffic, it can take days for the retargeting audiences to build, and for the ads to start serving. High-traffic sites can see their ads start within an hour or two. Which of my products will be available to see through ads on Facebook? Any product listed as “in stock” on your Shopify store. This includes products that are from previous seasons. Can I use Flightplan if I have one or two products? Dynamic Product Ads are powerful because we serve ads for specific products that people looked at. If you only have a few products on your site, you're better off running traditional Facebook ads. We are a team of marketers, creatives, and developers who love Facebook, technology, and the science of social media marketing. We have over four years experience, managing tens of millions of dollars in ecommerce ads for large, national brands. We've taken that experience and baked it into the highest performing ad management system for Facebook and Instagram and made it available to businesses of all sizes. Flightplan allows our clients to experience a lift in sales from existing traffic, freeing up time to focus on other areas of their business. We are excited to break boundaries, crush goals, and build our solution to empower you to succeed. We’re always up for a chat! Hit us up with any questions to learn about how we can grow your business! If you have any additional questions, please contact us and we'll respond quickly!